I believe you can already guess what's my favourite colour at the moment. Yes yess, it's this light, lovely, sky blue. 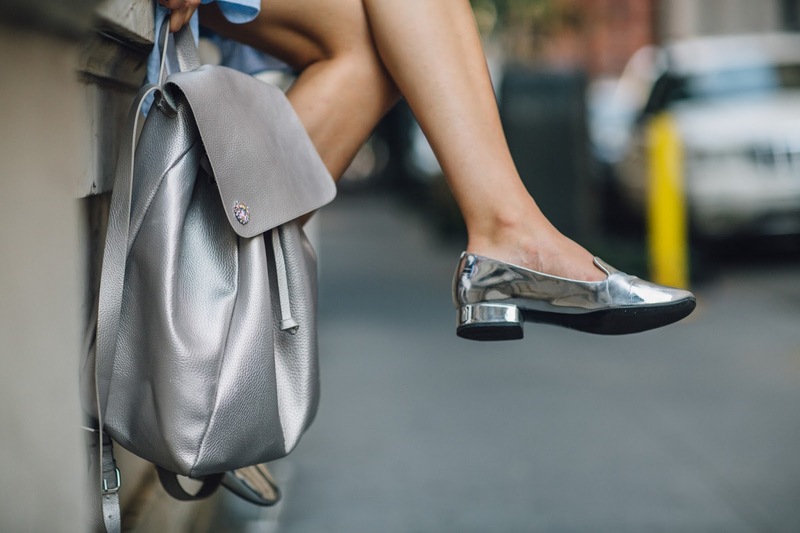 It never actually been on my favourites list before, but this season I have a serious crush (as well as for silver accessories & shoes as you can tell)! If you guys follow me on Instagram, you probably already know that I left New York today and I'll spend a few months in Lithuania/London and then (fingers crossed) I'm moving to the concrete jungle, how crazy is that!!! I'll definitely tell you more about this adventure here on the blog or vlog, so stay tuned! P.S. thanks to Moeez @joincomb for these amazing pictures. Labai graži spalva ir iš tiesų tau labai tinka!